You know Ping Pong, you’ve seen the art and you’ve probably heard all the good things about it and, you know what? They’re all warranted. Ping Pong is fantastic. First, let’s acknowledge how unusual the art is. 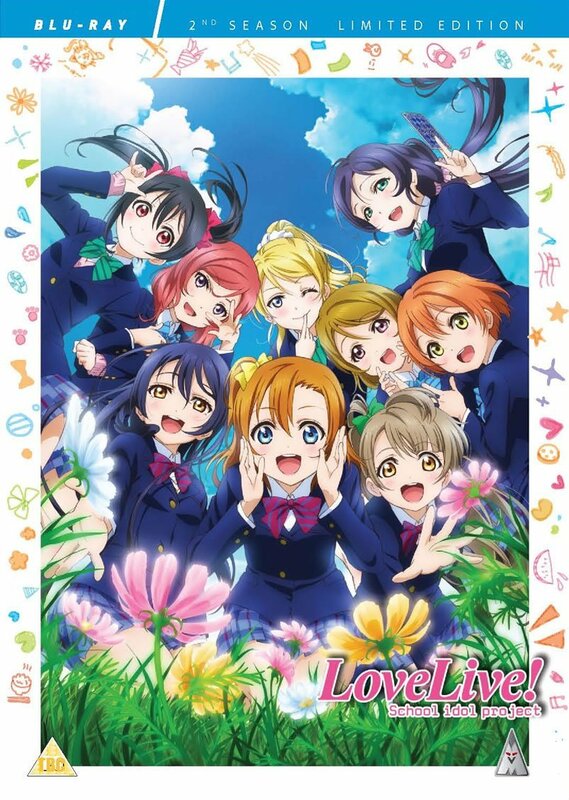 Yes, it will take some getting used to and yes, it can be a bit rough at times but overall it adds charm to the series and I ended up becoming fond of it. Ping Pong is the very definition of ‘hidden gem’ and a show that I’d encourage anybody and everybody to watch, regardless of if you enjoy sports anime or not because, like many sports anime, this is about more than just the sport. Ping Pong follows Makoto Tsukimoto, nicknamed Smile, and Yutaka Hoshino, nicknamed Peco, who are two close friends with a love for ping pong with Peco aiming to become a worldwide famous player. Smile isn’t interested in fame and is quick to give up when the going gets tough. Ping Pong is a story that sees the friends become better players and to accept themselves, and it’s a touching, realistic look at life and an underappreciated sport. Tatsunoko Production, who’ve previously worked on Psycho-Pass 2 and Gatchaman Crowds, have provided an art style that can easily be described as unique. I’ve not seen artwork like this before and, admittedly, it initially put me off – having only seen screenshots of it before, I had no plans to get round to watching it. 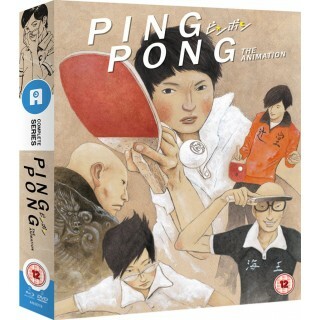 Thankfully Anime Limited are officially releasing it in the UK as Ping Pong looks spectacular in motion and I can’t imagine it being animated any other way now, and would happily watch other shows animated in a similar fashion if they can be nearly as good as this. I quickly became fond of the art style and find myself missing it now that I’ve finished the show, and I’m already looking forward to watching this beautiful show again. This isn’t like other sports anime where matches can take several episodes, Ping Pong is an 11 episode anime where it focuses more on the characters and their love for the sport rather than the sport itself, but that doesn’t mean that the matches themselves don’t look amazing! 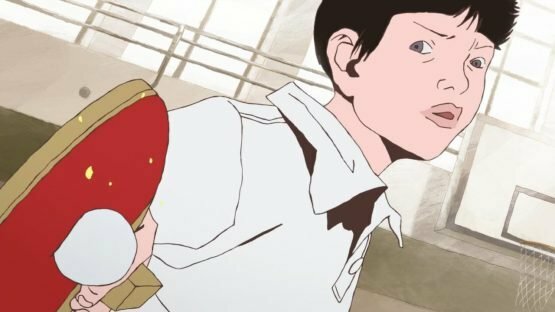 Tatsunoko Production’s use of cut-ins that make Ping Pong look almost like a comic book in motion is very fluid and smooth, and Ping Pong is certainly a stylish, creative show that’s unlike any other out there. You can watch Ping Pong in English or Japanese and you really can’t go wrong with either. The English dub sounds entirely natural and features a perfect cast with Micah Solusod as Smile and Aaron Dismuke as Peco, both of which I’m becoming more and more fond of, and a great supporting cast. 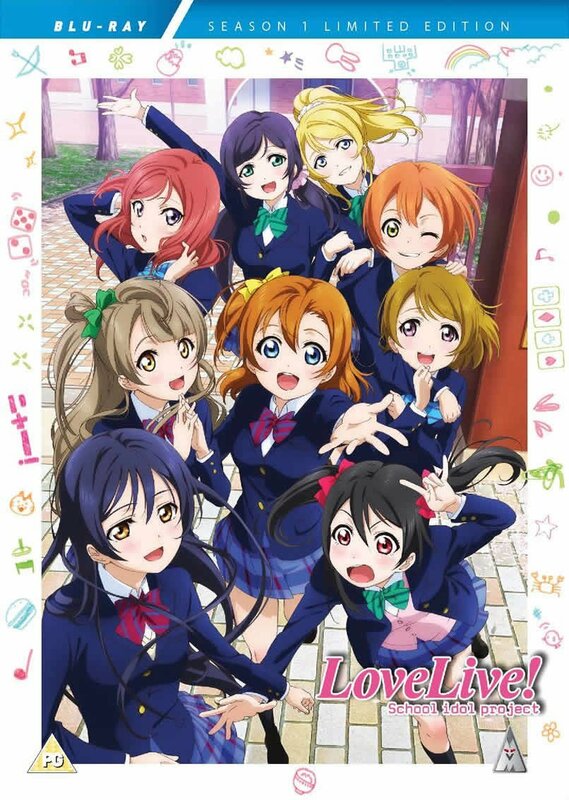 The OP and ED are both incredibly catchy with the rest of the soundtrack being equally as good. Sports anime tend to have stellar soundtracks and this isn’t any different, although Ping Pong does tend to have a calmer soundtrack that reflects the growing up nature of the series and it’s something you don’t want to miss. I’m still thinking it over a little, but I think I’m happy to say that Ping Pong is one of the best anime I’ve seen. I haven’t written a whole lot about it because you should buy it and watch it for yourself and, chances are, you’ll be like me where you go in with very little knowledge about the show. 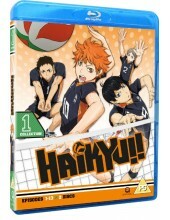 This is one of Anime Limited’s best licenses and it’s one I assume they’re taking a risk on and so I hope it pays off for them because it very much deserves to be in more people’s hands. I’ve been thinking about it often since finishing the series and I have plans to rewatch it already and I think I’ll enjoy it even more the second time round. 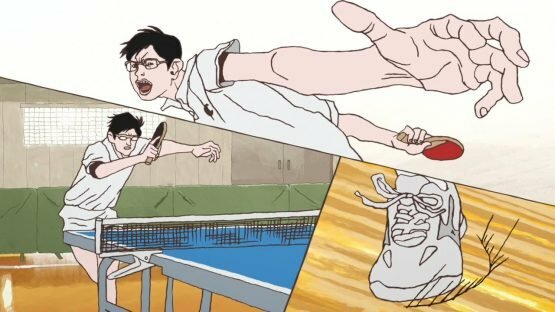 You may be put off by the art or that it’s an anime about a sport but you should definitely give Ping Pong a go because it’s one of the most grounded, unique anime you can buy.